Thought some here might find this interesting. It's a Lanchester Mk-something clone. 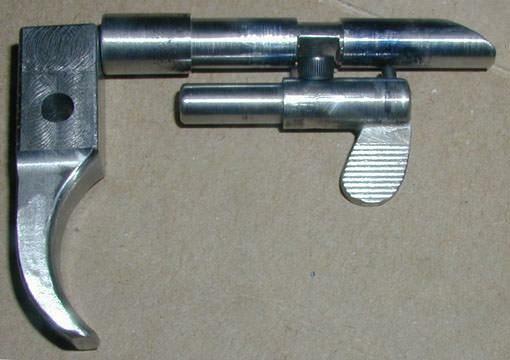 Hammer-fired semi-auto with the required (in USA ) 16" barrel. The receiver tube is a bit longer than the original so that I didn't need to have an 8+ inch barrel extension. Made the tube, barrel, bolt & handle, trigger housing, fire control parts, ejector and assorted screws. 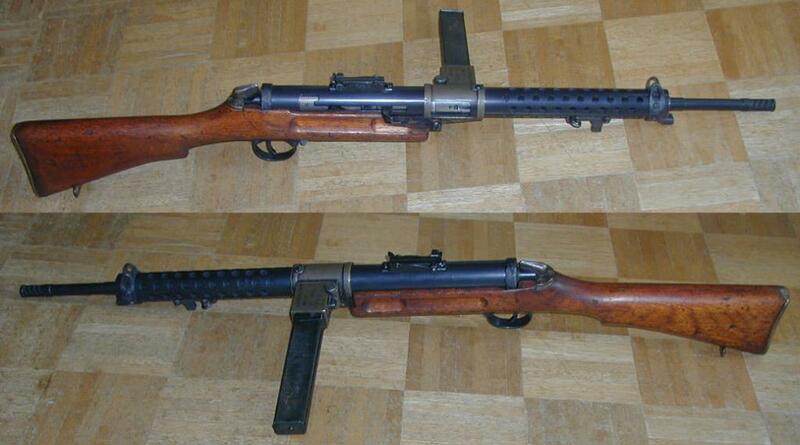 It has a flip-safety in a similar location as the early Mk1 selector. 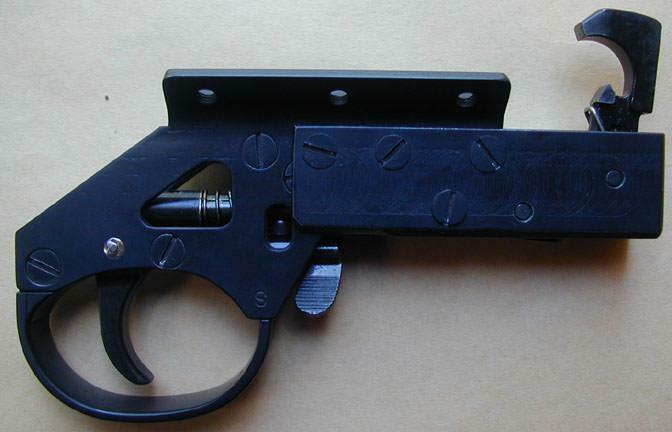 The rest is original unmodified Lanchester Mk1*, except for the rear tangent sight and the STEN magazine. Now just need to locate an original 50 round magazine to make it weigh even more! And couldn't resist the 1907 pattern bayonet. Last edited by Archilochus; 05-28-2018 at 07:01 PM. Looks like you did a very nice job there. I’ve never seen a hammer-fired one. Any chance you could post some pictures of the internals? I would also like to see what you did with the safety. Is that a Suomi KP-31 rear sight? What other builds have you done? Looks like you did a very nice job there. I’ve never seen a hammer-fired one. Any chance you could post some pictures of the internals? I would also like to see what you did with the safety. Is that a Suomi KP-31 rear sight? Thanks! The rear sight is from a Suomi KP-31. It's been modified somewhat - shortened and lowered to try and make it more Lanchester-like. Also scrubbed the word "SUOMI" from the side. Here's some images of the completed trigger housing , fire control parts, and safety. The flip safety blocks the transfer bar in 'safe', and has a little detent to latch it into 'safe' or 'fire' position. 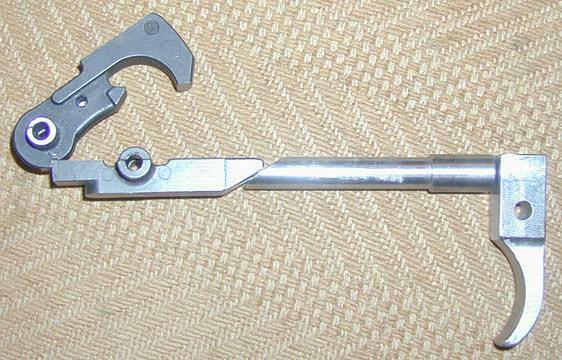 The fire control parts are modified AR15 hammer and trigger, and a fabricated transfer bar and trigger. Firing pin is an AR15 type, but with a return spring, and an extension piece to make up for the extra bolt length. Other things I've made include a Suomi KP-31 (receiver made from scratch), a FAL receiver from an Armscorp forging, 1911 frame from a raw casting, M1 carbine from an IMI receiver casting, and currently working on assorted STENs, an Australian OWEN (almost 100% from scratch) and a PPSh-41. Wow! That’s an ingenious design. Thank you for posting the pictures. I would love to see your other projects. I have done a few builds. Hurricane Harvey destroyed most of them along with my other possessions. I really miss building guns. Beautiful build, have you fired it?? Thanks guys! I'll post up pics of other projects too. The detailed build thread for the Lanchester is over at weaponsguild.com, along with the FAL, 1911, and some other stuff (same member name). I did run a few rounds through it, but have not let loose with a mag dump yet. Tried it first with just primed cases to make sure it wouldn't 'slam fire', and that a failed disconnector and 'bolt follow' would not light off a round. Nice work. A Lancaster 50 round mag went thru GB last year or so. I missed out on final bidding. Don’t recall price. Hopefully not much more than $100!? Heads up, member Owen has barrel, stock and mags involved in an estate settlement. It may be spoken for?? He is currently just looking for valuation. It may not be in the US. I did not pay attention to his location. Thanks for the heads-up on the Owen parts! I actually have a complete Owen parts set - but I do like that finned barrel! I could use a mag or two though, and that MP38 mag also. Why did the USA go semi-auto when others did not?